"It's Pink." My friend Jennie's 2 yr-old daugher coined this phrase when we visted last Spring. Thanks to Kathleen it has become a catch-phrase in my household. 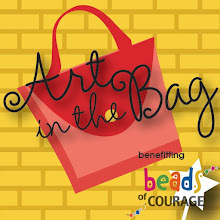 But, it is also a good inspiration for the graphics that I've been working on to promote this years Art in the Bag. Check out this square web banner. Definitely pink. And definitely should catch some attention. Right? For those that are saying . . . Art in the Bag . . what's that? Well it is a fabulous fundraiser benefitting cancer awareness, research and care. The debut event was held in 2008 at the Hot Shops Art Center and was a smashing success. We had so much fun that we've decided to have another event. Right now we are kicking off our planning stages . . . seeking sponsors, finding artists & craftspersons interested in donating items for the silent auction and developing a promotional strategy to grow the even in contribution dollars and attendees. It has been such a fun process and we're excited about this year's event. Save the date for Friday, October 16th. 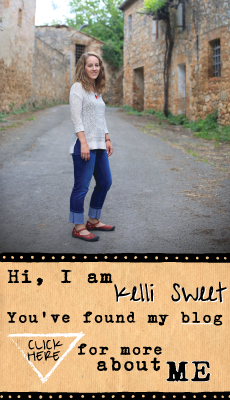 If I keep up with my blog, you'll be hearing more about it. Promise.